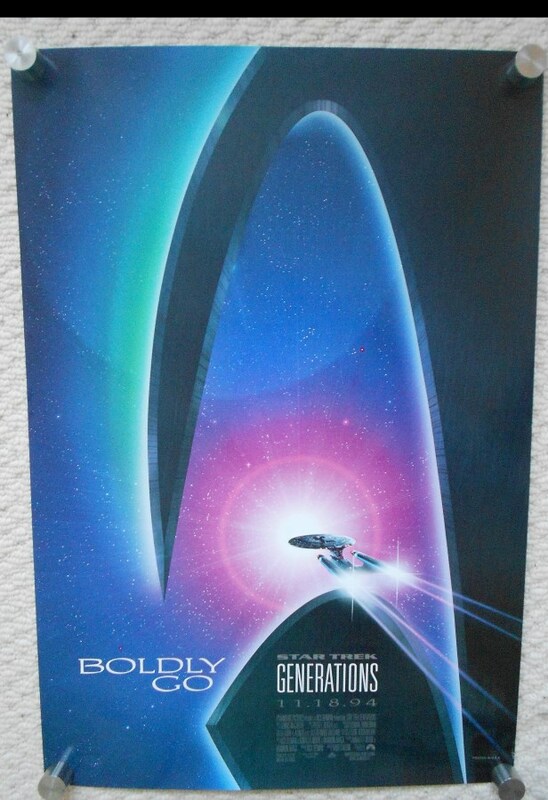 Original 1994 Advertising poster from the film ' Star Trek Generations ' featuring Patrick Stewart, William Shatner and James Doohan. 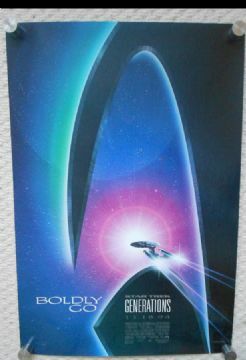 This poster is in Fine- condition and measures 13.5" x 20" with a really nice image. A really nice display poster.